Alan Simpson has been awarded an OBE for services to Education. 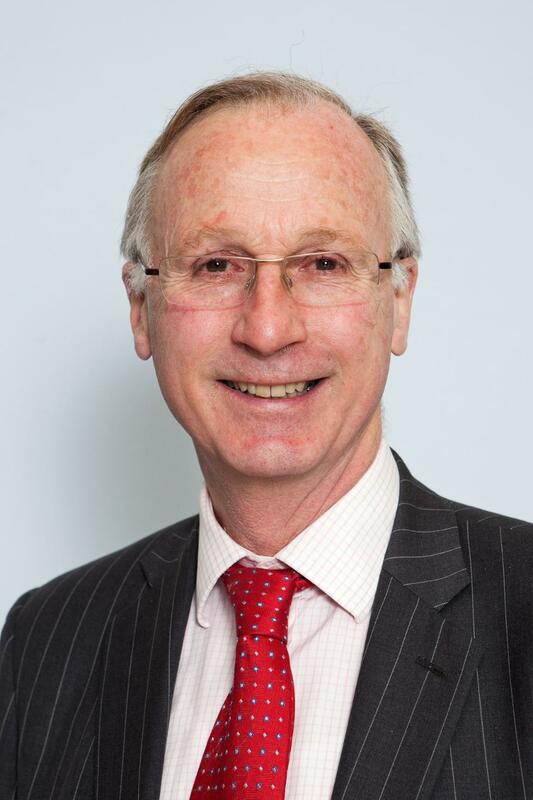 The University of Stirling's Chair of Court, Alan Simpson, has been awarded an OBE for services to Education in the Queen's Birthday Honours List. Alan has served as Chair of the University Court since 2007, and is also a Deputy Lieutenant for Stirling and Falkirk. He said: "I was absolutely delighted to hear the news about receiving an OBE. I had no idea that it was being considered, and it is the icing on the cake following eight wonderful years at the helm of the University Court. It clearly recognises the excellent work being carried out in all parts of the University in teaching and research. "Highlights have included the University's outstanding results last December in the Research Excellence Framework, being ranked 40th in the UK and 5th in Scotland for research intensity, the Queen's Anniversary Prize received last year for groundbreaking research into the effects on children's health of marketing tobacco, alcohol and junk food, and the improvements on campus covering, among others, the new residences and renovated library. "It has also been a privilege and joy to work with the students, academics and administrators who all contribute to the success of the institution." University Principal and Vice-Chancellor, Professor Gerry McCormac, said: "I'm delighted with the news that Alan has been awarded an OBE for services to education - this is richly deserved. The University is greatly indebted to him and would not be in the favourable position it is today without his vision and leadership. "He has been an excellent Chair of Court; ensuring the highest standards of governance are maintained at Stirling. He has also contributed significantly to the higher education sector in Scotland, by bringing his considerable knowledge and experience to bear on the development of guidelines for good governance of universities in Scotland. "We are delighted that his contribution to education has been recognised and wish him well for the future when he steps down as Chair of Court in July." Alan chaired the Committee of the Scottish Chairs of Higher Education Institutions and is a past-chairman of the Institution of Civil Engineers (ICE) Scotland. Born in Edinburgh, Alan gained a scholarship to study Engineering Science and Economics at Magdalen College, Oxford. Following qualification as a Civil Engineer, he worked with Brian Colquhoun and Partners in London and the Middle East, before returning to Scotland to work as a consulting engineer with W A Fairhurst and Partners. He became a Partner in 1989, and retired in 2009. Alan served on the University Court as Chair of the Estates Committee and then the Finance Committee before taking over as Chair of Court eight years ago. He will step down in July, before the reins are handed over to Fiona Sandford. The Chair of Court - independent from the University - is responsible for its mission, vision and strategy, and welfare of students and staff and for its overall governance. Also honoured in the Queen’s Birthday Honours List is former Stirling Economics lecturer, Dr Marianthi Leontaridi, now Director of Public Service Transformation at the Cabinet Office in Whitehall. Dr Leontaridi is awarded an OBE for public service.